I reckon babies require a whole team to care for them, not just a mum and dad and I swear if I was rich, I’d be paying for a baby nanny to come and help me 24/7. We’ve lost the idea that a baby is raised by a village… Oh sure you might have your parents and in-laws but they’re not with you when that baby won’t go to sleep at 3am and you want to cry just as much as they are..! – Figure out what you can buy online and get it delivered. I did a lot of online shopping for non-urgent items. I ordered food, nappies, wipes and other baby items rather than go out. – Get enough duplicates of swaddles, baby clothes, bibs and dummies so that you can wash every second, or third day. It also helps ensure you don’t have to run out and get more when they get lost. 2. When people offer to help TAKE THEM UP ON IT. Remember that village I mentioned above? This is your new version of it. Ask family to buy your groceries and transfer them the money when they deliver it. Let your mum come around and clean or do washing. Let people come look after your baby. Or make you a coffee and fold your washing. Or vacuum. Or mop. Or whatever needs doing. Oh and sit on the couch, or better yet nap while they do it. 3. Get yourself some comfy clothes. Good feeding bras (if you’re breastfeeding), easy to access tops and nice, comfy pants. You’re gonna spend a lot of time at home and you’ll feel better wearing clothes that are just as comfy as PJ’s, yet aren’t. 4. You’re not going to be spending money on much so treat yourself and buy that nice moisturiser, shampoo and conditioner. It’ll make you feel good, and a little bit like your old self… At the rate of showers per week when you have a newborn in the house, those products will last you a year anyway. Heh. 5. Lower your food expectations. I bought foods for the daytime that could be eaten with one hand. eg: Almonds, rice crackers and hummus, grapes, chocolate, apples, pears, muesli bars, carrot sticks, vege chips… you get the picture. There were days when I literally carried the baby around all day, and there was a weird phase when I totally SUCKED at baby wearing and baby was too small to fit in our front pack, so I had to do everything one handed. For dinner, there were days where we just had pasta with some bacon, chicken and premade sauce thrown in at the last minute. Or mince on toast. Or baked beans on toast. Or canned spaghetti on toast..! And endless spaghetti bolognese meals. I really didn’t care about having a large variety of meals, or making sure we had veges at each meal, it was more a matter of survival. – Or my favourite… doing a 5 minute walk around the house and putting easy stuff away to de-clutter your space (and mind). 7. Find a mum group. I didn’t know why people went on about this but it’s true, mum groups can go a long way towards saving your sanity!! I found if there was at least one other mum going through the same or worse stuff than me, I felt 100x better because of it. Finding out you’re not the only one secretly not loving that point in life made me feel less guilty as well, and mum guilt is a killer!! 8. Do like Dory said and just keep swimming. Or keep going… Whatever. Your baby can’t cry forever, or stay awake forever. You’re going to get a break some time, and when it comes make the best of it. Lie down, relax, sleep. It’ll all start again before you know it, but keep going. Each day is an achievement, your baby is still alive and I swear, is in love with you. They’re born to do that and you worrying, and stressing and crying about how hard it is? It’s actually a sign that you’re crazy in love with them too (if you didn’t know that already). 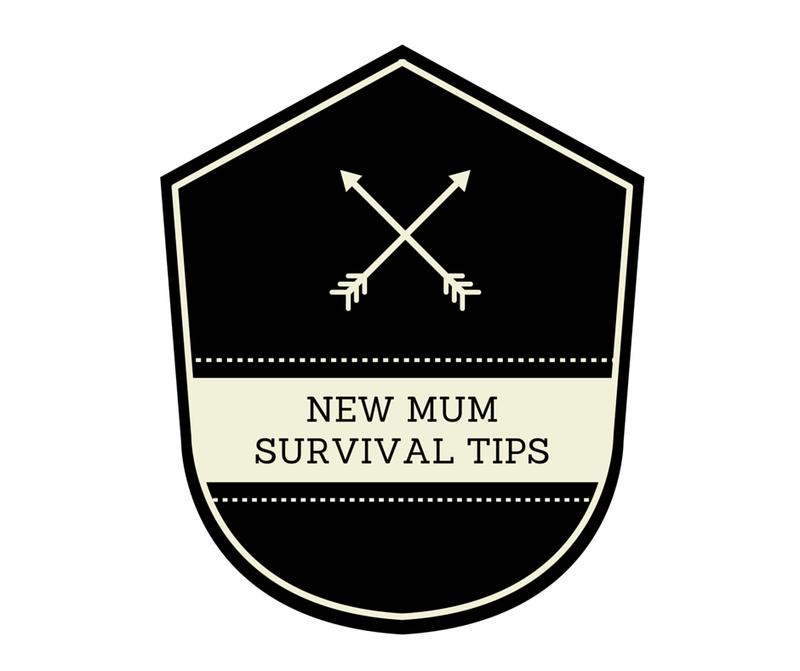 What new tips would you share with other new mothers?